Greenhouse Fabrics: What's In a Story? Where do all of those great Greenhouse stories come from? 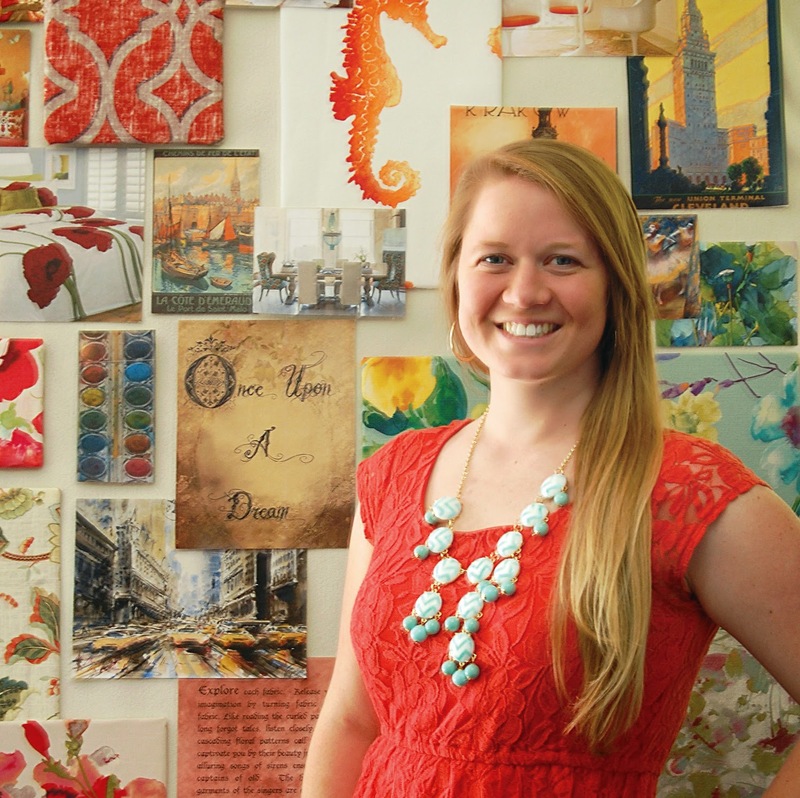 “Sample book designer, customer and fabric specialist, and story writer, Tiffany Tolliver is a valued asset to our team. We enjoy the creativity and imagination that Tiffany brings to the table every day. When I read her stories, I feel like I am reading true romance on the beach!” exclaims Brian Bunch, president of Greenhouse Fabrics. “I have always loved interior design and the home furnishings world, but the love I had for creative writing was not realized until a special English teacher, Elizabeth Walters, showed me the possibilities that extracted that talent as if she was discovering a lost key.” Years later, this key opened the door between imagination and paper, between a fabric sample book and its story. “My favorite book and story in the Greenhouse Fabrics line is C47 Greenhouse Colorbook: RobinsEgg, Seabreeze, Peacock." Belcastel, a picturesque medieval town in southern France, brings charm and innocence to these fabrics. The textures and checks were inspired from the cobblestone streets, while the various plaids originate from the stone tiled houses. The soft and serene blues flow from pattern to pattern like the Aveyron river flows through the town. The castle itself can be seen in the background of the quaint lives painted on the toile fabric. Colors of verdigris, jade, oasis, and spring emerge from the local artwork created through the watercolor competitions and art exhibitions held during Belcastel summers. What is your favorite Greenhouse story?